How many of Bill Gates' favorite books of 2012 have you read? How Is Technology Impacting College Education? All people seems to live in a rush nowadays, specially if they live in the metropolitan areas. In schools, students are interested in saving time. As the work by online-education.net shows, the 90% of a group of surveyed students in the 2012 said that technological devices, including eBooks, eReaders, mobile devices and tablets, help them to crunch time when it is needed to study. Students wish technology moves beyond mobile infrestructure to become a greater resource in their learning. For this, they are ready to pay in the double digits on the year to come. Teaching and Developing online: Bill Maher's dilemma: Why can't the U.S. be more like Canada? What did Gandhi say about education? Powerful Learning Press — Do you have a strong voice and fresh ideas about education? We want you to write for us. 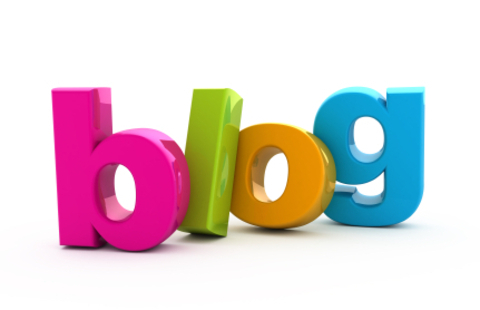 If you are an teacher, student, parent, or administrator, you should be following education blogs. Why? Simply because blogs are an ever-increasing way to spark ideas, creativity, and innovation. The following list is a compilation of blogs for those interested in education. Written by parents, administrators, businessmen, teachers, and administrators, these blogs stand out with their unique style and excellent content. While this list isn't comprenhensive --we have left out on pourpose well established names such as Downes, Byrne, Warlick, McLeod, Mayers, Fryer, Davis, Dunn or Jarche -- we are sharing the links that according to our experience are not well known yet. Here are the selected ones. What are your favorites that are not popular and we've omitted? Share them in the comments section of this story. A blog dedicated to educators who want a one-stop shop for all the best education blogs and resources on the Web. They arrange posts by categories, so teachers looking for ideas in a certain subject can find content quickly and easily. This blog is run by two teachers, and gives instructional tips for teaching lessons that meet the common core standards. The Organized Classroom is a blog primarily for teachers who need help making their classroom functional and efficient. The website offers free resources, tips, and ideas from local teachers. A fun and whimsical education site for teachers who need to add some color and creativity into their classroom. This site is in the style of Dr. Seuss. 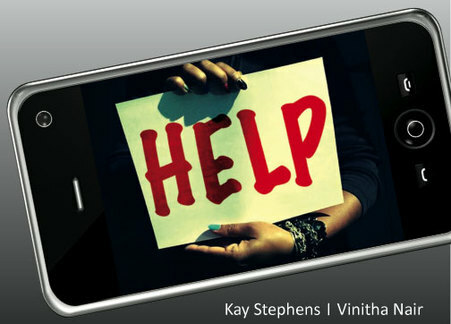 This blog is part of a larger website that is dedicated to helping gifted youth. It focuses on news, information, and other resources for parents and teachers of talented children. The Omniac blog is for high school students who are planning to go to college. The site gives tips for taking college entrance exams, as well as ideas for maximizing the success rate of college applications. A computer scientist and published author writes this blog about what makes students successful. He chronicles some of his controversial thoughts on why pursuing your passion is a bad idea and gives tips and hints found in his numerous books. This blog is mainly for parents who might need some extra help in getting their child off to school. Expect to find advice on how to help your child succeed in college, tips about transitioning to a dorm room, as well as financial aid and application resources. A blog dedicated to helping educators with their productivity, technology integration, as well as teaching. The latest post is an interesting entry about professionalism on social media, an increasing problem that has only been introduced since the explosion of sites like Facebook and Twitter. The Thesis Whisperer is a collaboration of writers and students who talk about the process of writing a dissertation. Everything from planning your writing process, tips, presentation ideas, and dealing with your supervisor, is covered in this group-authored blog. A blog written by both students and educators! Topics include admissions to college, high school tips for maximizing college potential, and how to score well on college entrance exams. It even gives practical advice about how to survive on a student budget and what to do after graduation. 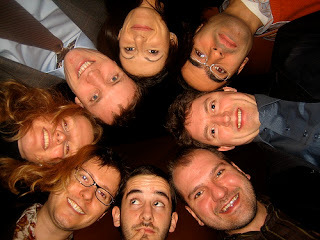 The Inside Higher Ed blog is a large site written by numerous authors. It covers everything from technology, to education philosophy, strategies for admissions, and career advice. This blog is associated with the NextStepU magazine. It offers advice about various colleges and degrees, and offers giveaways from time to time. It also has tools like scholarship search and college match. This blog is attached to the Chegg website; a student services site for planning and study help. The blog gives advice about finding inexpensive textbooks, study habits, and scholarships. The author of this blog is Bev Taylor, a well-known counselor who is frequently seen on media sites, giving tips about getting into Ivy League schools. Her blog centers on helping students gain entrance into the school of their dream. She also offers herself for hire! The Stratedgy blog is meant for educators who want to discuss ways to compete in an ever-expanding world of education options. Tic Tac interactive is Scandinavia’s “leader in digital education” – and their blog features some pretty interesting conversations about education. As provocateur, muse, catalyst and game changer, The Daily Riff will “sniff and sift” through our edu-culture, “curating” news and opinion in quick, digest-sized take-aways for you to use and share. I think that says it all. Beth Knittle is a technology integration specialist for a K-12 district and blogs about her learning experiences. She has presented at several major education conferences like MassCUE and EduCon. She has an attached Wiki and a scrupulously organized archive page. 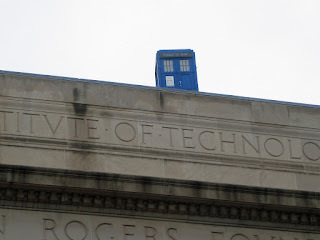 A lecturer in Scotland at the University of Strathclyde authors this blog. Check out his blog post on creating memorable passwords for middle school students, or his review of text online adventure games. He writes in short post form, making it an easy blog to read when you are short on time. 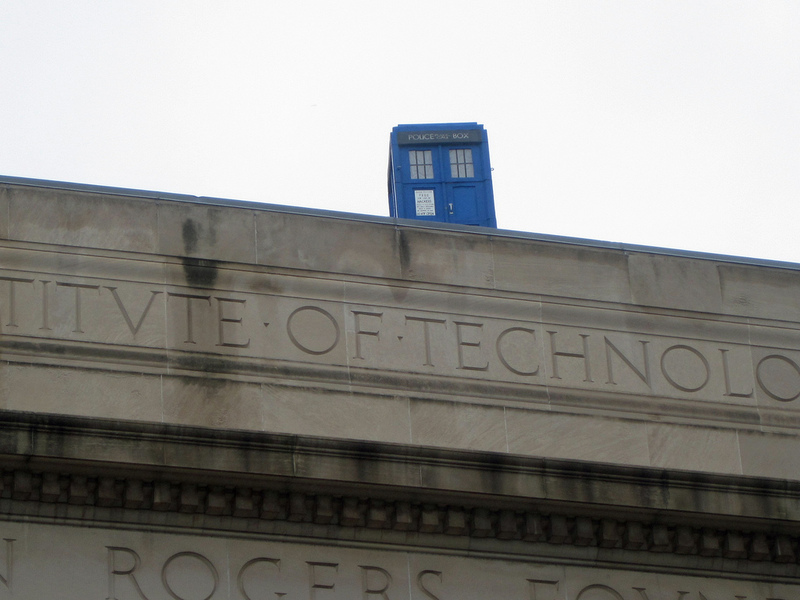 This blog is a practical guide to technology integration. There are posts about using the iPad in the classroom, how to make an inexpensive green screen, as well as starting up an online book club. The owner and author is Ben Rimes, a K-12 technology specialist in Michigan. The Online Learning Update is a blog about online education news and research. The editor is Ray Schroeder, a University of Illinois professor, and he gathers headlines about university open courseware. Stop at the E-Learning Queen blog and meet the Queen’s assistant, Susan Smith Nash. She humorously names her reader the “queen” of e-learning, since you are reading her site. She focuses on distance learning, e-course design, and social/psychological issues surrounding the online education process. Funny Monkey blog is highlights all the news and information related to Funny Monkey, a business dedicated to making educational materials free. In addition to news, the blog also covers major educational issues, technology, and classroom solutions. Cammy Bean’s Learning Visions blog is about e-learning design. She hosts webinars about the best ways to effectively design e-courses, tools to use, and how to get started. This Best of Education Blog, hosted by the National Education Policy Center, pulls recent posts from various education bloggers. It covers all education issues including teacher unions, curriculum, technology, policy, and even teacher evaluations. Sponsored by Bethwether Education Partners, this blog is about education policy and politics. The primary author, Andrew J. Rotherham, served as a special assistant to President Bill Clinton, and currently writes the weekly School of Thought column for Time magazine. This blog primarily focuses on urban poverty as it relates to educational policy. The author Corey Bower became frustrated with the education system after trying to teach in an inner city New York school for two years. Edwize is a blog for education news and opinion. It focuses on New York schools, teachers, and issues. Be sure to check out the section called New Teacher Diaries- real life stories from New York’s new public school teachers. This blog’s tagline is, "Debating the future of American education." Expect to read posts about politics, testing problems, and other issues plaguing the current educational system. Edspresso’s clever name highlights the focus of this blog- a daily morning shot of the latest education news and reform. It covers headlines and politics as it relates to education and is updated frequently. Scott Taylor is an assistant superintendent and professor at the University level. His blog is listed on Edudemic’s website as one of the top education blogs that you should follow. His casual conversational style is easy to read and still packs a powerful and profound punch. A blog focusing on education and politics. 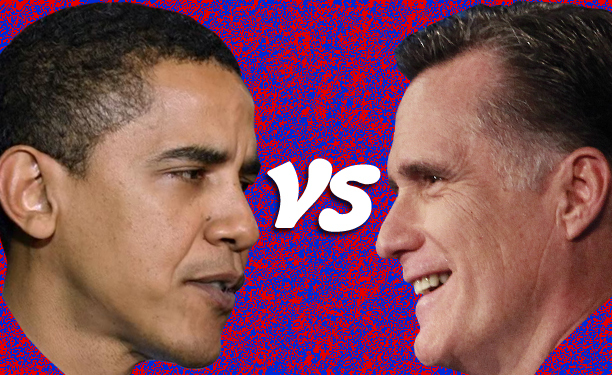 Current posts center around the campaign trail leading up to the US election in November, and how it relates to education policy. Stories from School was labeled as one of the best educational blogs of 2010. It focuses on real life examples and stories of teachers and how they are impacted by the latest educational policy changes. This blog focuses on ways to improve your ability to memorize. Dr. Bill Klemm is a neuroscientist, education consultant, and professor who chronicles some of his research on this personal blog. This list first appeared on Open Colleges and we have edited it accordingly. Is the 'Unfollow' a New Norm on Twitter? There are fundamentals to be discussed about Twitter. Not as a social media tool but as a research-based tool among educators. 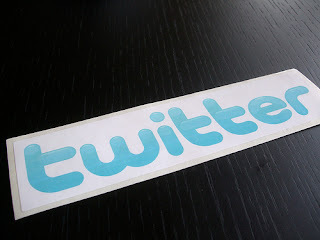 I am on Twitter since 2009, the Year of the Tweet, if you still remember. During al this time it has taken me great deal of time to build the stream I try to read almost daily. That's why I find hard to unfollow all people on my Twitter account. Everyone at this point has gained some experience using the social network, based on tools or learning on the way while following others so called 'celebrities'. You still can find some social media snobs, too. But as Dan Shareski states: "There is no recipe, no rule, no formula for doing it right [on Twitter]. Each approach has affordances, advantages and disadvantages. Be thoughtful, intentional, make mistakes, try stuff, change stuff but ultimately own the space and time and way you use the tool. Then stop apologizing." This was a comment on a post subcribed by Tony Baldasaro where he explains his own reasons to unfollow all his twitter stream, and then refollow only those who really deserve to "pay any attention to". I share links most than anything on my Twitter feed. I have two ways to reweet: one is automatically and the other is editing the tweet. I also share very little personal info and engage a few times in conversations out of nothing. I don't go on lengthy conversations, 3-5 replies top my replies. And I do follow anyone who advertise as a teacher, and have at least a tweet which I think is worth reading. As of now I have 8K followers. And haven't performed the respective clean up which consists of unfollowing all users inactive more than 90 days and over. I do not follow educators exclusively. I have other interests, as well. I concur to Scott McLeod when he writes: "Social networks are like gardens. They require some nurturing and, yes, some pruning now and then. Sometimes they may even be like prairies, requiring a full burn to nurture new, positive growth." In his article Scott explains how he manages two groups on Twitter. Even though we haven't answered yet whether Twitter is a communications service for friends and groups, a means of expressing yourself freely, or simply a marketing tool, there are some research showing that Twitter will revolutionize academic research and teaching in the short run. Do not unfollow the people you've decided to follow in the first place. It has to be a good reason to push the unfollow button. Twitter is strong because it covers the selfishness in each one of us (showing the number of followers, and is a place to know and begin great conversations with individual that it'll be impossible in other ways. Keep it simple. Use Twitter the way if feels right for you, credited to be said by Chris Lehmann. Conrad Wolfram discusses the need to equip students with the knowledge necessary to respond to a more mathematical and quantitative world. But standing in the way of this knowledge is a chasm between need and opportunity. 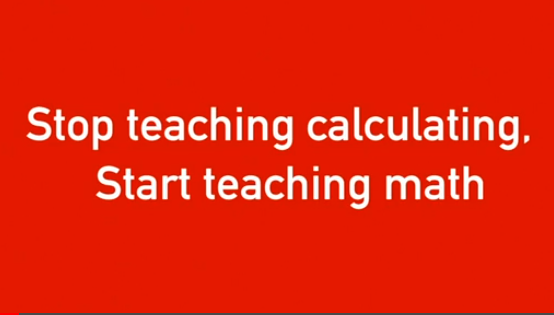 Wolfram explains that many children fail to grasp the larger concepts of mathematics because they spend a majority of their education learning to calculate these numbers by hand. Responding to a series of frequent arguments against his claim that computers should be used for calculating in the classroom, Conrad develops his own argument for letting the computers do the work so children can learn to apply critical and logical thinking to the real world problems that involve math. The inquisitive and innovative Sugata Mitra discusses the challenges of educating the children in underprivileged communities of India. Mitra argues that for many schools, technology does not offer enough of an increase in skill to be considered a viable tool. The children at the top, Mitra argues, do not have as far to grow. Instead, Mitra says, technology should be used to serve the most underprivileged of children first, to support learning or even serve as an alternative to primary education that is subpar or non-existent. In further experiments, Mitra finds that when left alone, children are capable of teaching themselves and their peers, without supervision of guidance. This demonstration of group power wielded by young minds is extremely fascinating. Based on his findings, Mitra presents an overview of what educational technology should achieve. Salman Khan shares the origins of the now-famous Khan Academy. He discusses the advantages of video lectures and how this tool fits within the flipped classroom model. The lecture explains how the flipped classroom creates a more socialized learning environment in which peers and teachers work together to achieve a higher level of group understanding. In addition, Khan introduces personalized data that allows educators to track the progress of students over a number of years, supplying a continuity and level of detail that has never before been possible. Khan proposes that traditional classrooms leave behind the one-size-fits-all learning approach to move toward a more personalized method. 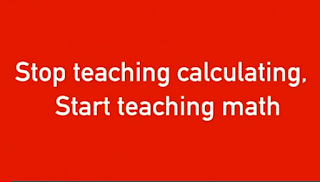 He also touches upon the potential of global education that is offered through these free videos. Daphne Koller, former MIT professor and co-founder of Coursera discusses the shortage of global education and how open courses can change the world of learning. One of the leaders in the Mass Open Online Course, or MOOC, Koller discusses how educational content in the courses was designed specifically for online learning, again breaking away from the one-size fits all curriculum. She admits that students don't learn from passively watching a video, and demonstrates different methods of interaction, including a peer-grading pipeline methodology and organic developments of learning communities. For teachers, MOOCs are the experimental playgrounds that should be watched for new ideas and methods for incorporating technology. (*) Melanie Foster is a passionate supporter of global education and a writer for onlinephdprograms.com. In her free time, Melanie enjoys hiking and reading. You can contact Melanie by adding a comment. One of the exciting things that leaps out to me when reading the new Common Core standards for Mathematics is that the spirit of inquiry and curiosity is back, hardwired into a document that will likely form the basis for mathematics teaching and learning for a long time. My attention is drawn for example to the Standards for Mathematical practice where it emphasizes that students need to become persistent problem solvers, plan solution pathways, and ask themselves, “does this make mathematical sense?” Even the grade-level specific content standards themselves are full of phrases like “Students will understand...” and “use visual models to explain...” So in order to build true conceptual understanding during the learning process, students will need considerable practice at being challenged to make sense of mathematics for themselves. Existing instructional materials do not meet this need, and reordering chapters and adding an “Now Aligned to Common Core” label doesn’t solve the fundamental problem: most materials are designed for use with direct instruction where we tell students how to solve a problem, and then have them practice by doing more of the same type of questions. By design there is no need to for them to think critically about solution strategies and there is little attempt to engage their curiosity: either they remember and correctly apply the procedures, or they don’t. And while technology does have incredible potential for education, most attempts to capitalize on it thus far, like the much-vaunted “flipped” classroom, are really little more than a “technologized” version of direct instruction and as such will have little impact on Common Core success. A more fundamental change in instructional design is needed. Game-based learning is one way to change the educational paradigm. A game is inherently about challenge (think Angry Birds), and a game can engage children in persistently trying to overcome challenges (think Guitar Hero), and games often require the use of strategic thinking for success (think Chess or even Monopoly). However, all of these games are designed to entertain. To design a game for education is very different: The challenge, the engagement, and the strategic thinking used in the game must all have a specific learning target. Let’s take an objective, right from the Common Core, “Students understand a fraction as a number on the number line” and see what this looks like when built up into a successful game, currently played by over half-a-million students. 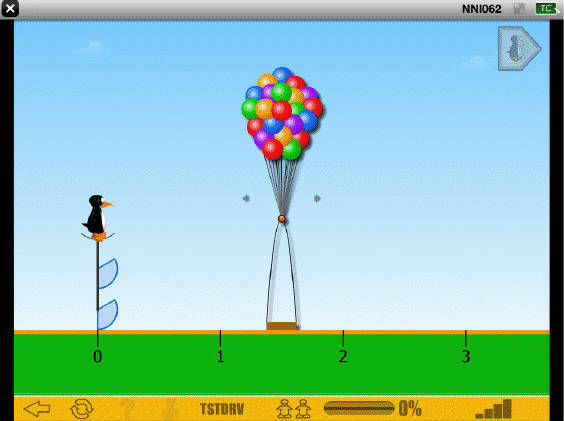 The penguin, JiJi, needs to get from the platform on the left to the basket under the balloons. Students, using tablets or mouse-based devices, need to drag the basket and balloons to where they think JiJi’s platform will roll to, and press go. The fractional pieces of the circle under JiJi’s platform roll out along the number line. In this case there are two one-third pieces, and if the basket is correctly placed, JiJi is lifted up and away, and they move on to the next puzzle. Otherwise the basket lifts up but without JiJi on board, and the students must try again. The puzzles get progressively harder, with different sized fractions, positive and negative pieces, and fractions given as symbols (like ¼). The game is even played in reverse, where students have to determine how many fractional pieces are needed under JiJi’s platform to get to a basket, already set in position on the number line. The challenge of the game is simple and easily understood with no written or verbal instructions, even by third-graders - figure out how to get JiJi to the basket. The engagement is unbelievably high, and the strategic thinking is all focused on translating between visual fraction models, symbols, and the number line. 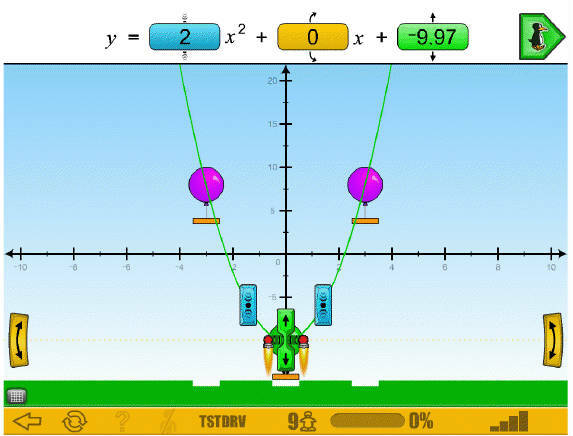 This type of game design works at the Elementary level but also is very successful for Middle and High school mathematics, as evidence by an upcoming game dealing with parabolas in Algebra. 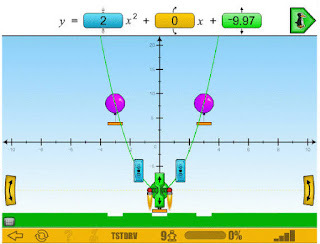 Points on a quadratic graph are represented by balloons that need to be burst by positioning a rocket, using either a manipulative tool, or a symbolic equation depending on the level. By activating students’ critical thinking skills in these game-based learning experiences, we can help them build deep conceptual understanding of the mathematics. And because all 800 games in the program are built around mathematically accurate and appropriate schema, or visual models, which the students internalize, mathematics now has a context in which to make sense. For the first time, technology is being used to create a new type of learning experience, arming students with the thinking skills they need for success with the Common Core and the 21st century skills they will need for success later in life. (*) Nigel Nisbet is the Director of Content Creation with the MIND Research Institute; a non-profit education technology company based in Orange County, CA, and a former High School Teacher and Math Expert with the Los Angeles Unified School District.